Julius Randle and Ivica Zubac provided an early spark but the Los Angeles Lakers ran out of gas and fell to the Minnesota Timberwolves, 119-11. 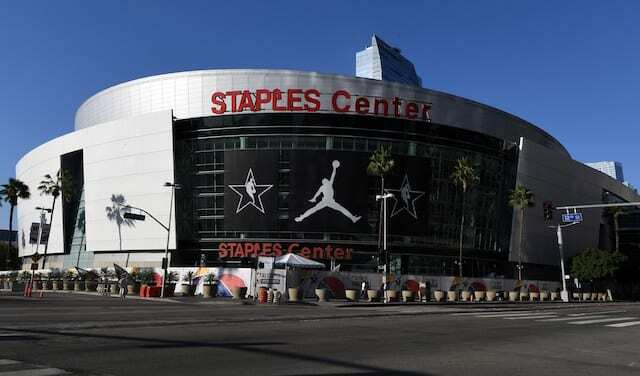 As a result the Lakers head into NBA All-Star Weekend on a three-game losing streak, with each of the defeats coming on the road. Both teams shot well in the first half and went on respective runs, which set the tone for the night. Behind making seven of their first eight shots, the Lakers were out to an early five-point lead. The Timberwolves responded with a 14-1 stretch, briefly giving them a lead. Riding momentum they generated at the end of the first quarter, the Lakers led by as many as 15 points before the half. However that dwindled to just a 65-62 edge through the first 24 minutes. 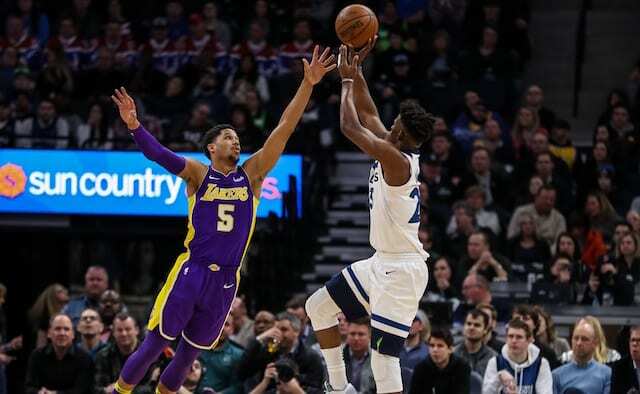 As Minnesota went cold in the third quarter, the Lakers took a 12-point lead, but the Timberwolves bench sparked an 8-3 spurt to cut their deficit to seven points heading to the fourth. Jamal Crawford scored seven early points in the final quarter, then Jimmy Butler began to take over. Whether creating for himself or teammates, Butler orchestrated the offense to perfection. 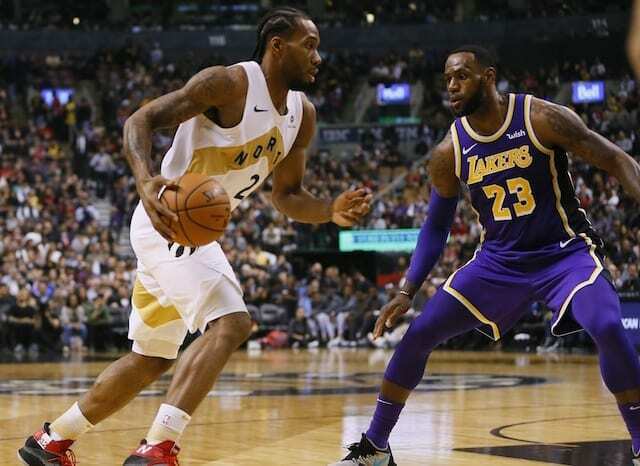 Conversely, the Lakers became iso-dominant down the stretch and missed multiple free throws as they flamed out. Butler scored 24 points to go along with five rebounds and four assists. He also added three blocks, with each of them coming late in the fourth quarter to help the Timberwolves preserve their lead. Taj Gibson led Minnesota with a game-high 28 points. Karl-Anthony Towns only managed 10 points but made his presence felt on the glass by grabbing 19 rebounds. It was Towns’ 12th game this season with at least 15 rebounds. Despite the loss, Randle’s energy level and production was more of what’s come to be expected of him. He started the game by making his first four baskets and went on to finish with 23 points and nine rebounds. Randle now has three straight games with at least 20 points, marking the longest such stretch of his career. Zubac’s opportunity for an expanded role was created in some part by Channing Frye being excused from the team for personal reasons. Zubac made all eight of his baskets, finishing with 19 points and 11 rebounds in 21 minutes off the bench. Kyle Kuzma was 3-of-5 in the first quarter, but never found the net after that managed just eight points on 3-for-12 shooting. One night after setting a season-high with eight assists, Kentavious Caldwell-Pope finished with six assists, and a career-high 11 rebounds. He also added 17 points, tied for third-most on the team.